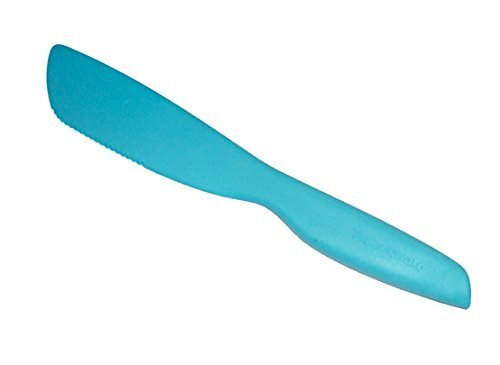 Tupperware Sandwich Spreader Cake Knife Serrated in Blue. Spread sandwiches, frosting for cakes, cuts through lunch meats, cake, pies, pastry, lasagna, etc. Blade is serrated on one side, smooth on the other. Color is green. Measures approximately 10 inches long by 1 1/2 inches at the widest area. Quality Tupperware plastic product.